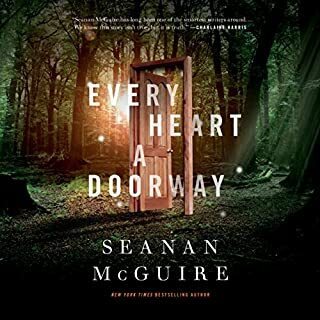 An apothecary clerk and her ex-mercenary allies travel across the world to discover a computing engine that leads to secrets she wasn't meant to know - secrets that could destroy humanity. 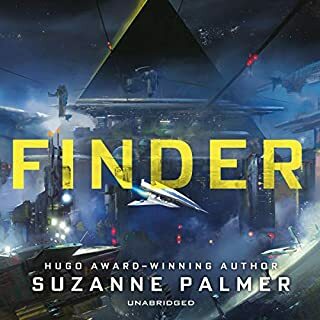 Fergus Ferguson, repo-man, has one job: find the spacecraft Venetia's Sword and steal it back from Arum Gilger, ex-nobleman turned power-hungry trade boss. Finding Gilger in the farthest corner of human-inhabited space, a gas-giant harvesting colony called Cernee, was easy. The hard part will be getting past a field of space mines, hacking into the Sword's compromised AI, and fighting a crew of hostile enemies to take control of the ship. But when a cable car explosion launches Cernee into a civil war, Fergus finds himself caught in the crosshairs. The city of Guerdon stands eternal. A refuge from the war that rages beyond its borders. But in the ancient tunnels deep beneath its streets, a malevolent power has begun to stir. The fate of the city rests in the hands of three thieves. They alone stand against the coming darkness. As conspiracies unfold and secrets are revealed, their friendship will be tested to the limit. If they fail, all will be lost, and the streets of Guerdon will run with blood. The fantasy novel you’ve always wished Jane Austen had written. When Jane realizes that one of Melody’s suitors is set on taking advantage of her sister for the sake of her dowry, she pushes her skills to the limit of what her body can withstand in order to set things right—and, in the process, accidentally wanders into a love story of her own. When Rin aced the Keju - the Empire-wide test to find the most talented youth to learn at the Academies - it was a shock to everyone: to the test officials, who couldn’t believe a war orphan from Rooster Province could pass without cheating; to Rin’s guardians, who believed they’d finally be able to marry her off and further their criminal enterprise; and to Rin herself, who realized she was finally free of the servitude and despair that had made up her daily existence. That she got into Sinegard - the most elite military school in Nikan - was even more surprising. 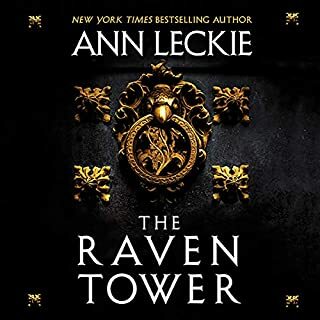 After witnessing a horrendous slaughter, young Heloise opposes the Order and risks bringing their wrath down on herself, her family, and her village. She must confront the true risk that wizards pose to the world and weigh the safety of her people against justice. Carolyn's not so different from the other human beings around her. After all, she was a normal American herself once. That was a long time ago, of course - before the time she calls "adoption day", when she and a dozen other children found themselves being raised by a man they learned to call Father. Donovan is a world of remarkable wealth that comes at a high price. 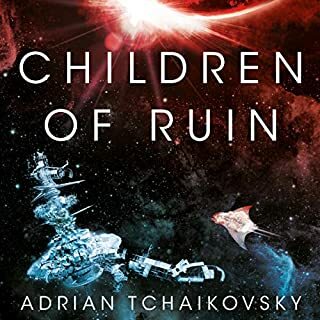 When Supervisor Kalico Aguila's ship arrives, she discovers a failing colony, its government overthrown, the few remaining colonists gone wild. Donovan could make her career - or kill her. Planetside, Talina Perez is one of three rulers of the Port Authority colony - the only law in the one remaining town. With the Corporate ship demanding answers about the things she's done, Perez could lose everything, including her life. For Dan Wirth, Donovan is a last chance. A psychopath with a death sentence looming over his head, he will make a desperate play for power. No matter who he has to corrupt, murder, or destroy. Captain Max Taggart is the Corporation's enforcer. But is it too late to seize control of Donovan? A book that some would kill for. Black market courier Rowena Downshire is doing everything she can to stay off the streets and earn enough to pay her mother's way to freedom. But an urgent and unexpected delivery leads her face to face with a creature out of nightmares. The Alchemist knows things few men have lived to tell about, but when a frightened and empty-handed courier shows up on his doorstep he knows better than to turn her away. What he discovers leads him to ask for help from the last man he wants to see - the former mercenary, Anselm Meteron. Reverend Phillip Chalmers awakes in a cell, bloodied and bruised, facing a creature twice his size. 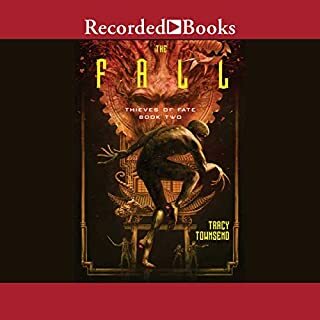 Translating a stolen book that writes itself may be his only hope for survival; however, he soon learns the text may have been written by the Creator himself, tracking the nine human subjects of his Grand Experiment. In the wrong hands, it could mean the end of humanity. This unlikely team must try to keep the book from those who would misuse it. But how can they be sure who the enemy is when they can barely trust each other? And what will happen to them when it reveals a secret no human was meant to know? 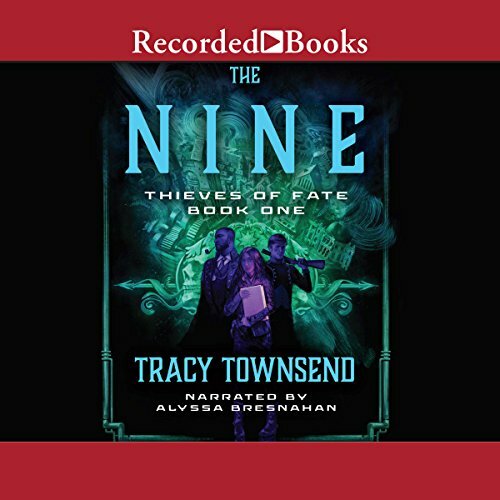 I sat in my driveway outside of my kids’ daycare finishing the third chapter of this book and couldn’t stop listening to it because the plot has such a fast, suspenseful drive. But what really drew me in was the tenderness that Townsend brings to her characters. She writes such dark and complicated characters with so much love. Listening as these strange, damaged people come together and save each other in so many different ways is just beautiful. love the language and the other world created! I cant wait for the next one! I didn’t like how slow the buildup was! And then the end seemed rushed. I liked the world more than liked most of the characters which is why I kept going.